OmniPlayer provides a single sign-on mechanism and assigns the Group Rights to the users, allowing access to applications, menu options, categories and stations. 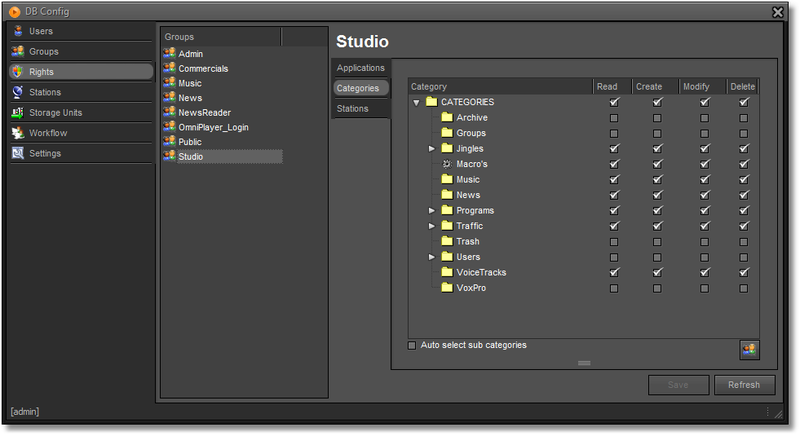 For each group of users it’s possible to give different rights (read, create, modify or delete) per category. 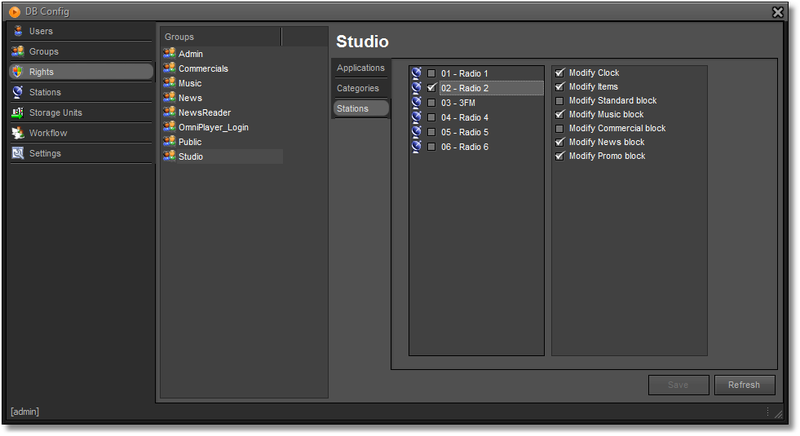 For each group of users it’s possible to give access to different radio stations and its clock or block elements.